Is the expanding dominance of Narendra Modi on a national political landscape a reassuring sign for India as a nation? Can we, Indians, rest assured that the country is in the hands of an enlightened leadership who will strengthen the idea of India? Despite the electoral dominance of the Bharatiya Janata Party (BJP) and Modi’s overarching presence in Indian politics today, the plural democracy has never looked as vulnerable in independent India as it looks today. How will one explain the anointment of Yogi Adityanath, a rabid sectarian figure, as the chief minister (CM) of Uttar Pradesh (UP)? Nath is known for his extremist harangue against the Muslim community, as well as other religious minority communities. Just before the UP elections, he called for the installation of Hindu statues in mosques across India. Two years ago, his “love jihad” campaign was aimed at polarising the Hindu-Muslim community in the most populous state in the country. The man once spent some time in jail for inciting violence against religious minorities. He faces many criminal charges for stoking inter-religious tension in society. His very name evokes fear among non-Hindu communities. 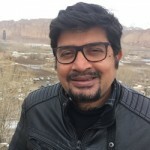 But the tragedy is that Modi, who sought votes in the name of development and canvassed on the slogan of “sabka saath sabka vikas” (collective effort and inclusive growth), chose the most divisive figure to head a state of 200 million people, where the minorities constitute around 20% of the population. Even the blindest follower of the BJP understands what the saffron-robed Nath stands for: he is the face of Hindu radicalism in India today. A person of such credentials occupying the highest constitutional office in India’s most populous state is not a reassuring sign, but a direct assault on democratic decency in India now. The choice of Nath as the CM of UP speaks more about Modi than about the new incumbent in India’s largest state. In the campaign for the just concluded state elections, the Indian prime minister went hoarse talking about the development and how the state needs a progressive government to take it to the new height of economic prosperity. Within weeks of the electoral verdict, that gave BJP and its allies 325 seats out of 403, Modi forsook that mask. He wants to make UP the laboratory of religious polarisation rather than a lab of economic development. By choosing the most divisive figure for the CM post, Modi is declaring, in the most brazen manner possible, that India does not care about Muslims and other minorities. If they have to live in the country, they have to live under the Hindu subjugation accepting their terms and conditions. The message is not of reconciliation but hatred; it’s a brash assault on the country’s plurality and the declaration in no uncertain terms that India is a Hindu majoritarian country. Those who understand Modi’s politics know quite well that the slogan of development is a smokescreen, the real agenda of the BJP and its ideological patrons is to make India a majoritarian country, where secularism, pluralism, liberalism are abusive terms and any one opposing the grand design is anti-national. It’s like mainstreaming what was once considered a fringe. If one looks at Modi’s track record as India’s prime minister since 2014, his elevation has given legitimacy to all kinds of nasty elements in Indian politics. It’s no longer a shame to be a mass murderer in the name of religion, one does not need to be coy about being divisive, and it’s fashionable to abuse secular and liberal section. Just a few days before anointing Nath as the head of the UP government, the BJP appointed Tajinder Pal Singh Bagga as one of the official spokespersons of the party. He enjoys the reputation of a rabid Hindu fundamentalist, an abusive troll of the right-wing party, one who organises disruption and violence if anyone talks about liberal and secular values in India. In 2011, Bagga organised violence against a prominent social activist for speaking in favour of the rights of the Kashmiri people, and the BJP disassociated itself from him at the time. But today the BJP under Modi, the so-called man of development, presents Bagga as the spokesperson of the party. Modi’s real achievement over the last three years is the institutionalisation of religious intolerance. Even his own economists are not confident about the economic progress the country has made so far in his term; therefore, they tamper with GDP data to present a false picture of growth. Most of the reputed educational institutions have become a playground for the Hindu right-wing people. They want to mould and vitiate the cosmopolitan character of the campuses in the country and turn every debate into a nationalist versus anti-nationalist one. Economic development does not exist in vacuum, it sustains in an environment of peace and harmony in the society. But the Indian society today is getting highly polarised and the government machinery is not honing the creative spirit of people but the baser instinct to divert the attention of the masses. After watching Modi for three years, a majority of independent thinkers consider his promise of development a lie and a facade to mobilise people. No major economic reform has taken place in India since 2014 despite the government enjoying brute majority in parliament. People have accumulated grievances against the previous regime in Delhi and other states and Modi has been exploiting this prevailing disenchantment to win elections. But gradually, it is becoming clear that the Modi of Gujarat is not a different man in Delhi. He remains the same, who allegedly presided over the massacre of hundreds of Muslims in 2002 when he was the chief minister of the western state. The India that is evolving under him is very different in character and thought; it is an India where pluralism is abhorred, where secularism is discarded, where multiculturalism is seen as a civilisational burden and not an asset. The larger world is too preoccupied with the moves Donald Trump is making in the US. But away from the glare, a great disruption is taking place in Indian democracy under the leadership of Modi. In the US, liberal media and masses are coming out openly to protect the American spirit and identity. On the other hand, a majority of the media in India has become subservient to the regime. In some cases, the fourth estate has become the gangplank for the right-wing regime to implement its agenda. Liberals in India are chafing under the Modi regime and they have been vociferous in their protest but such voices have to reach the masses. The irony is that the educated middle class and aspirational India have become tools of the majoritarian project. Modi might be winning elections but he is defeating India. 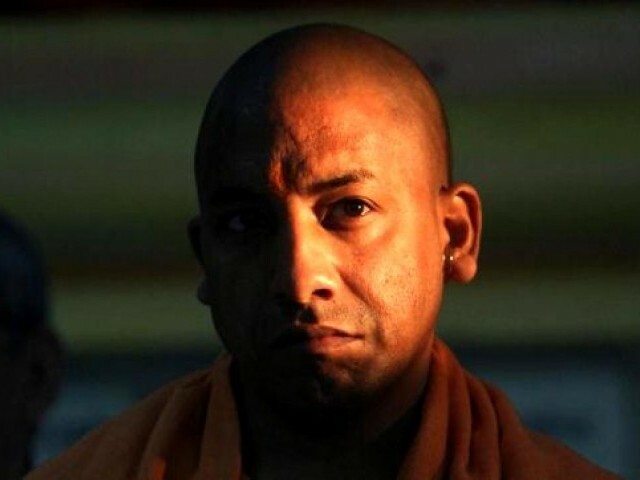 Classic case of the INTOLERANT Left – unwilling to even give Adityanath the CHANCE to govern – unwilling to allow a saffron robed man in office but eager to see a burka clad woman rising to high office – all in the name of “secularism” and “liberalism” ?? When you lie, its evident. When you tell the truth and sprinkle a few lies, nobody cares. The best liars always tell the truth, when its convenient. But, we Indians are more informed, aren’t we..
Then the GDP numbers. The numbers were questioned by the economists when the system of calculating was changed. But, nobody has questioned it since then as more information was provided. However, India getting the highest FDI in 2015 has escaped his attention. BJP was able to win 5 out of 6 states contested…. The much maligned demonitization had no effect on the verdict on the states as predicted by these arm chair activist and in fact they helped Modi secure more seats than before. He has forgotten that Communists havent won a single seat in any of the seats and they lost their deposit in all of them. BJP winning in Muslim and christian dominated areas clearly show that the common people are more aware of what is happening in India than the deluded lefties. Considering that almost all of the new CMs have come up from lower level without any family influence shows that BJP loves meritocracy not nepotism. Just throwing around words like “fascism”,”hitler”,”trump”,”Hindutva” etc are having no effect on common people. When you compare the number of muslims who voted for BJP/Modi in prior elections and in the recent election, the increase in the percentage of muslims who voted for BJP/Modi is the highest and is higher than even the percentage increase of hindus who voted for BJP/Modi. In fact, correspondingly, all other parties have shown percentage decrease of muslim voters in their vote bank. The muslims of India love Modi and trust that he will bring them good. Pakistanis claim that Modi ran his election campaign on anti-Pakistan campaign. This will be beginning of end of BJP, what ppl in India haven’t understood about consequences of nurturing a right wing person will understand now. Looks like Mr. Kumar was having a good slumber. Now the tremors have woken himup. 1) Hindu Nationalism is different from Hindu Fanaticism. Saying Hindus should be treated equally and their culture should be respected in not fanaticism. Modi has not called for harm of anyone. If he had, I’m sure someone would have approached the Court to get him jailed for hate speech. Same with Yogi Adityanath. He will be jailed for hate speech if he has given one. What the world is seeing, is Hindustan’s descent into the abyss. a very Dead End street. A nasty place. to hungary people who live on idlis and dosas. Basic intelligence dictates that one should Google something before categorically declaring that Jinnah didn’t say this. I am not least bit surprised you didn’t. You should know who you are talking to before challenging. OK, this means if Jinnah had said this, he a divisive figure, far from the secular person that he is projected to be. Unfortunately, he did say this on Aug 16 1946. Jinnah was a big believer in violence after non-violent methods were exhausted. TTP too had talks with Pakistan, when it broke down resorted to violence. They were actually following in Jinnah’s footsteps. “Today we have said good-byes to Constitution and Constitutional methods”. He concluded by saying “We also have a Pistol”. Raj, do not worry about Pakland or Muslims. complex forcing you to attach US to your moniker. All of this has been debunked in my other comments so I do not deem a detailed response necessary. But the fact that you compare the most constitutional and democratic party in British India to a terrorist organization simply shows one that can not even come up with a fair and consistent comparison. We have seen this before with you comparing 60 dead to 1000+ and peaceful hartaals (such as the Direct action hartaals) to the Gujrat genocide. You did not debunk anything. You falsely claimed Jinnah was a Secular man, but couldn’t reproduce a single quote where he has even used the word Secular. On the other hand, I’ve quoted Jinnah when he showed his Islamist tendencies, when he said to his daughter to marry a Muslim instead of a non-Muslim. In addition to this I’ve quoted Jinnah where he said he is pro-Sharia. You earlier claimed some Inspector leveled allegations against BJP Govt, but ran away the moment I showed you Supreme Court’s order. There was no Gujarat Genocide. There was however a Hindu massacre in Godhra. Even though there is a SC order clearing Modi, you accuse him. But, you won’t believe Jinnah. Getting votes using Religion is not really hard, is it. Parties do that all the time in Pakistan. ML couldn’t win in NWFP and Jinnah undemocratically dismissed the Bacha Khan Govt, showing his authoritative streak. Like Jinnah called Nehru a Hindu leader. Jinnah shows his Islamist tendencies when he calls for Sharia. Nehru shows his secular mindset when he ensures India has a secular constitution. If Muslim rulers really conducted mass conversions and genocides, there would’ve been no Hindus left in India. They had nearly a 1000 years to do so. Case in point Spain where there are no traces of Muslims after Spanish inquisition. Also Malaysia and Indonesia were historically Hindu/Buddhist countries. How did they become Muslim majority without any invading Muslims armies? This has been debunked too. The Indian constitution did not use the word secular and Gandhi spoke of Ram Rajya. I have merely quoted authorities. Lol, and yet Congress failed hard with its Islamist alliances. Actually the NWFP voted for Pakistan rather than India. Pakistan was willing to go through a plebiscite unlike India. Bacha Khan for his case while treated harshly was no saint himself. was actually mush lenient than the treatment of Sheikh Abdullah in Indian Kashmir who despite being Prime minister of (Indian) Kashmir, was sacked and arrested on Nehru’s orders due to the bogus “Kashmir Conspiracy case”. ramifications. Neither Nehru nor Gandhi condemned this and were hence complicit in it. Jinnah’s speech in Lahore in 1940 where he spoke about TNT – was it for a united India? The terms for united India proposed by Jinnah rejected one person one vote and he demanded extra weightage to Muslim vote keeping in mind they were former rulers. Naturally, such a condition could not be accepted.